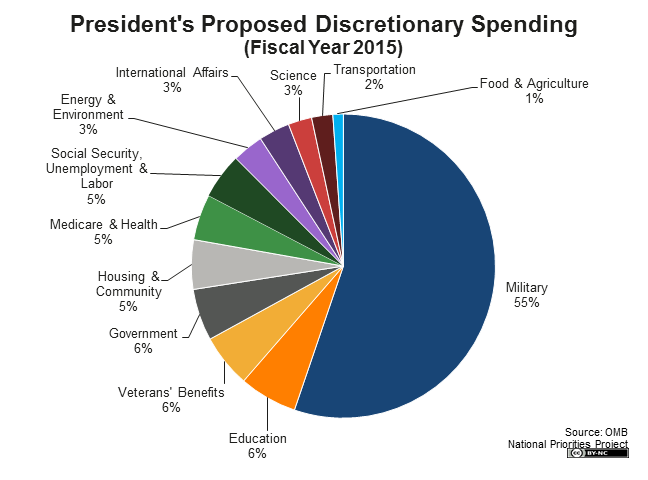 This is how President Obama proposes allocating $1.16 trillion in discretionary spending in fiscal year 2015. 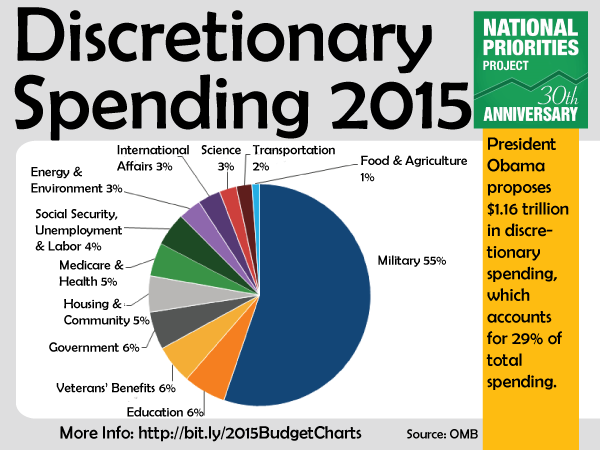 Discretionary spending is the part of the federal budget that Congress determines annually during the federal budget process, and it accounts for 29 percent of total spending in the president's proposed 2015 budget. It does not include earned-benefit programs like Social Security and Medicare.